It’s twenty years since we all blinked and failed to notice that hundreds of thousands of people were being hacked to death in a small country in Africa. Twenty years since we decided that the appropriate response to machete-wielding mobs on the streets, targeting anyone whose ID card gave the wrong ethnic origin, was to withdraw almost all the peace-keeping forces stationed there, and tell the rest they could not intervene. Twenty years since we waffled and fudged about ‘acts of genocide’ and muddled up Hutus and Tutsis, and showered emergency aid on killers, and muttered about tribalism, and ‘six of one…’. There are all sorts of excuses. The failed intervention in Somalia, the joyous distraction of the South African elections (for once, a good news story from Africa), and the general reluctance to commit troops and risk ‘our’ people’s lives in such a messy, chaotic and volatile situation. But it is inescapable that part of the reason that we didn’t stop it happening was because of where it was happening. Because, as Francois Mitterand actually said, more or less, in Africa massacres aren’t such a big deal. In many ways, genocides resemble one another more than they differ from each other. If we discount scale, as we must, since it is the intention to wipe out a race/group/community rather than the numbers involved, or the degree of success in that endeavour that defines genocide, there is a common trajectory that we can trace. The group marked for destruction must be isolated, vilified, made objects of fear as well as hatred. They may be identified as less than human – vermin, lice, cockroaches – since no one baulks at the death of such creatures. They must be classified, marked, labelled, listed, so that they can be tracked down. And once the killing starts, for the group marked for destruction there is the desperate search for safety, for shelter and protection, the knowledge that each person you encounter may denounce or protect you. Not only that, but the threat to those who did try to help that they too, and their families, would die if they were exposed. In fact, merely refraining from murder may be an act of resistance likely to be punished with death. There are things about Rwanda however, that are different. Firstly, the sheer speed of the events that engulfed that small country in Africa is staggering. There had been decades of sporadic massacres, which is why a Tutsi rebel army, composed mainly of refugees and children of refugees, was in the process of invading the country. And preparations had certainly been laid well in advance, lists drawn up and machetes stockpiled. But still, from the trigger of the shooting down of the President’s plane to the RPF victory only four months elapsed. Four months, and 800,000 people dead. Many more maimed, raped, traumatised, orphaned. So much destruction in such a short time. A tsunami of brutality, when everything was irrevocably changed in moments. There was no great machinery of bureaucracy to process the destruction of the Tutsi, who were killed, for the most part, by their own neighbours, or by the militia on the roadblocks who simply needed to ask for their ID to know whether they should die. There were no camps set up to process those captured and marked for death, just places where people sought refuge and instead found that their hoped-for sanctuary was in fact a trap where the killers waited until they were gathered together, before sweeping in to destroy. There was not even the pretence of any fate for the Tutsi other than death. And because of the speed, and because the victims, like their murderers, were in many cases rural people, not highly educated and literate, and if they hid it was in the bush, there is no Anne Frank, no Helene Berr from Rwanda, both murdered, but who left records of what it was like to have to hide, to live in fear, to be marked for death. The narratives of Rwanda are those of the survivors. Whole clans were wiped out, so that now it is as if, as a survivor put it, a page in the album of humanity has been torn out, and of many of those families and individuals there may be virtually no trace remaining. After all, that’s what genocide aims to do. It’s never enough to kill all the people, you have to kill their history, their culture. But that’s one of the odd things about the Rwandan genocide. The Hutu and Tutsi peoples were not distinguishable from each other by a language – even an accent – or a religion. They were – supposedly – different in physique, but in reality decades of intermarriage meant that one could not actually identify anyone reliably in this way. The mythology of their enmity was fostered by successive colonial governments, who favoured first one group and then the other, exploiting the tensions that this created. The different names existed, certainly, but the identities were not fixed. Because Hutu and Tutsi were associated with different modes of life, if your circumstances or occupation changed, your ‘ethnic’ identity could change too. It was the colonial governments who put in place the system of identity cards that stated which group one belonged to, and made that identity fixed and inescapable. Many, many ordinary people did extraordinary things to protect friends, neighbours or total strangers. And many of those who were there in an official capacity broke ranks to do what they could. Major Stefan Stec, with the UN Peacekeepers, faced down militia at the Hotel Mille Collines, attempting to evacuate some of the many Tutsi and moderate Hutu who had taken refuge there. He was so tormented by the events he witnessed, by his own sense of failure, and by the harsh judgement of many who weren’t there and had no choices to make, on the inadequacy of the UNAMIR response, that he died eleven years later, as a result of PTSD. Romeo Dallaire, who commanded those forces, suffers similarly, and attempted suicide six years after the genocide. And Mbaye Diagne, a Senegalese UN military observer, ferried people through roadblocks to the Mille Collines, bluffing and bribing his way past the militia until he was killed in a mortar attack in May 1994. Yolande Mukagasana’s world changed on 6 April 1994. Within days she had seen her husband killed. She had lost contact with her children. She had come close to death, and had seen people who she, as a nurse, had healed, ready to kill her or hand her over to be killed. She also encountered people who owed her nothing and yet who kept her safe, just because it was the right thing to do. She was tormented first by not knowing her children’s fate, and then by knowing it. Once safe, she threw herself into her old role of healer, but her own healing took a long time – to the simple guilt of having survived when so many didn’t, she added the guilt of having survived when her own children didn’t, and of knowing that others had died for refusing to hand her over, or because they were mistaken for her. She drew orphaned and lost children to her, and started an organisation called Nyamirambo Point d’appui, named after the area of Kigali where she lived with her family, and where she saw her neighbours become murderers. She started to rebuild, there, where she’d lost everything. Yolande writes ‘contre l’oubli’, so that the dead aren’t entirely lost, so that the truth isn’t buried with them. And that includes uncomfortable truths about the role of international bodies, and most particularly of the French government, both actively and passively enabling the genocide. But this duty of memory is not just for the past, but for the future. Surely if we remember what happened twenty years ago in that small African country, as we remember what happened over seventy years ago in Nazi occupied Europe, what happened almost forty years ago in Cambodia, we will see the signs next time before it’s too late? We will make the right choice about whether and when to intervene? Dallaire, Roméo (2005). Shake Hands with the Devil: The Failure of Humanity in Rwanda. London: Arrow Books. ISBN 978-0-09-947893-5. Des Forges, Alison (1999). 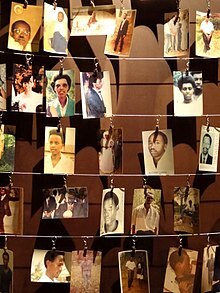 Leave None to Tell the Story: Genocide in Rwanda (Report). New York, NY: Human Rights Watch. ISBN 1-56432-171-1. Melvern, Linda (2000). A people betrayed: the role of the West in Rwanda’s genocide (8, illustrated, reprint ed.). London; New York, N.Y.: Zed Books. ISBN 978-1-85649-831-9. Melvern, Linda (2004). Conspiracy to Murder: The Rwandan Genocide. London and New York, NY: Verso. ISBN 978-1-85984-588-2. Prunier, Gérard (1998). The Rwanda Crisis, 1959–1994: History of a Genocide (2nd ed.). London: C. Hurst & Co. Publishers. ISBN 978-1-85065-372-1. My probably infrequent entries to this blog will, I anticipate, fall into three categories, potentially overlapping. Firstly, the work of Michel Butor, nouveau romancier, far less well known than he deserves, one of the most fascinating writers of the postwar era, and all of whose works are rich in allusion and reflection, ideas and passion, intellect and humanity. Secondly, I’ll occasionally write about what other things I’m reading (currently Proust and Stephen King), listening to or watching. And there may be events, anniversaries, and other sources of inspiration that prompt an entry from time to time. I’m an administrator at the University of Sheffield, where I’m also a part-time student, studying French Language & Cultures for my second undergraduate degree (the first, in English & Biblical Studies, was also with Sheffield, many decades ago). I grew up in West Africa, an experience which has been hugely influential on me, and which can be evidenced not only in my enthusiastic support for Ghana’s national football team (in contrast to my despairing loyalty to Nottingham Forest), but also in my interest in postcolonial African history and, because I lived in Northern Nigeria during the bloody preamble to the Civil War, in genocide and xenophobia wherever they manifest themselves. Alongside my work, and my studies, and my family life, I am passionate about music, literature and visual art. My entries to this blog have proved to be more frequent than I had anticipated. And the topics I’m covering have shifted too. I completed the degree referred to above, and am now a part-time PhD student, doing research on Michel Butor and W G Sebald, and that is absorbing all of my writing/thinking energy on those topics. What I’m reading, listening to or watching does inform my blogging, as do events and anniversaries. But if a theme has emerged over the years it has been more political than I anticipated with a strong focus, not just during Refugee Week, on the plight of those who flee war zones and persecution, and how we respond to their need for sanctuary. I retired from my post at the University of Sheffield at the end of 2015 and hope to have more time to think and write, some of the output of which may end up here. You have been warned.